August 18, 2012 9:00 a.m. to 1:00 p.m. Walk, don't run for the animals of the Peninsula Humane Society & SPCA because it's time for their annual Mutt Strutt dog walk-a-thon. 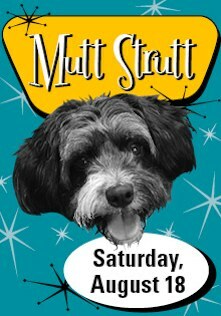 This year marks the 18th annual Mutt Strutt and is a great way for you and your best friend to spend a summer morning! Walk your dog around Coyote Point Park and help raise money and awareness for the animals at the PHS/SPCA. The morning begins at 9 am with vendor booths, flyball and disc dog demonstrations, entertainment, prizes and more! Participants are asked to raise $100.